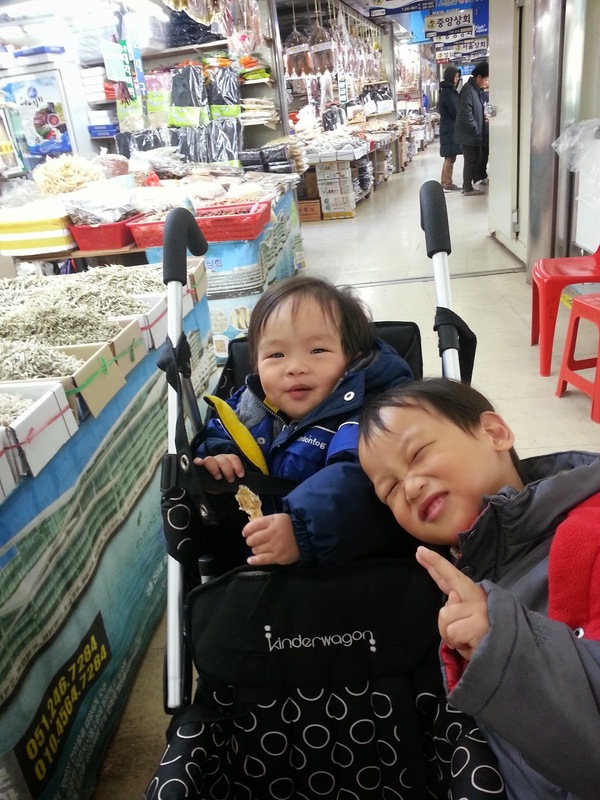 Korea's largest seafood market was one of our top priority stops in Busan. We were planning to get there early the next day, but the kids were very tired and we decided to sleep in, heading for the market only in the afternoon. Due to heavy traffic and the long travel timing, we only reached there just as the sun was making its way towards the horizon. "Jagalchi" is actually a combination of two Korean words meaning "small rocks"
View from the city in the late afternoon. The boys enjoying a rare pensive moment. Wandering in the live seafood section. stalls and allow the chef to cook up the meal of your dreams. 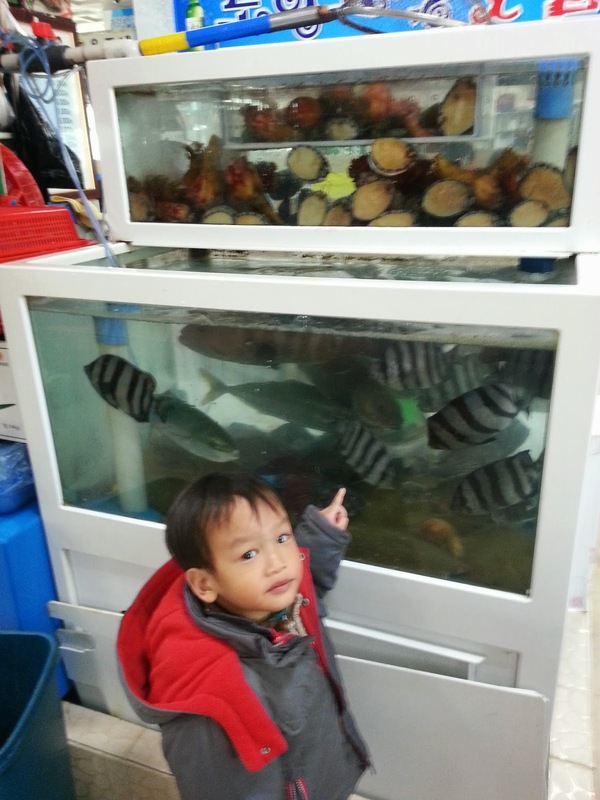 Our sons were quite interested by all the fascinating sea creatures. food items and even tasting them! stall pointing at the items and asking to taste them! 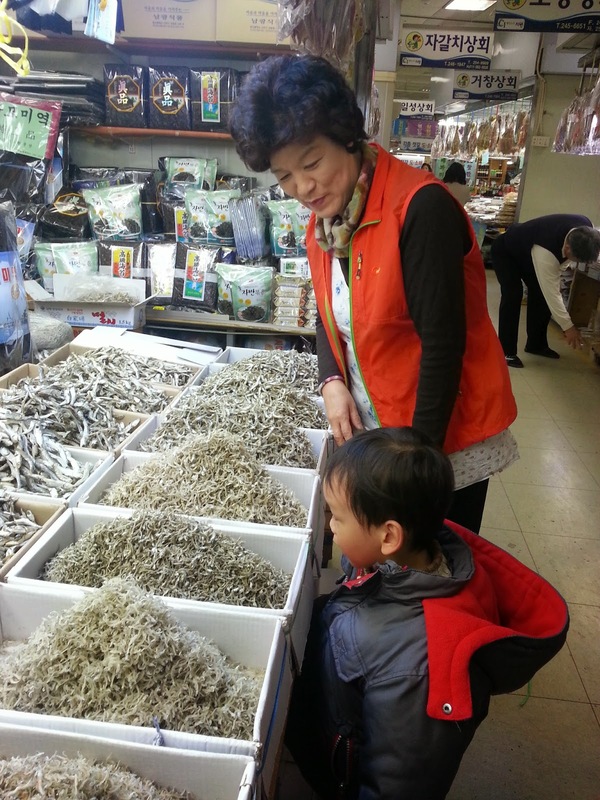 And who can resist the huge and juicy ginseng roots on sale there! 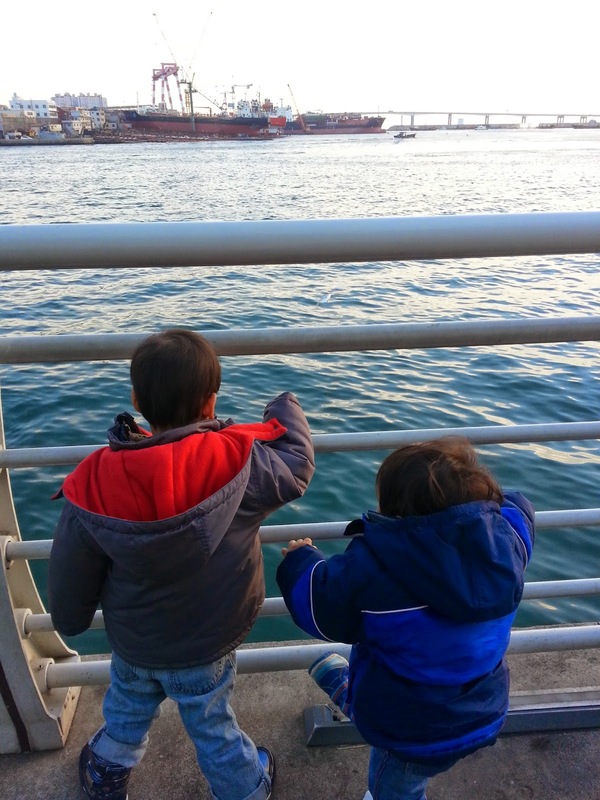 Our children had a whale of a time dancing near the water area where there was loud singing and happy Koreans enjoying their beers and soju. 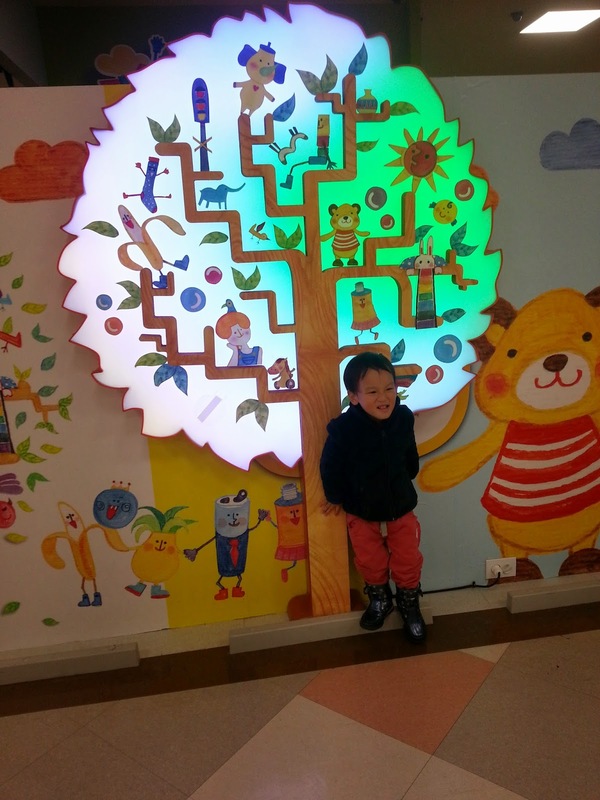 After we had purchased a fair quantity of dried shrimps, scallops and fresh ginseng, we headed back to the Lotte Department Store where our boys were eager to catch another glimpse of the musical fountain there. 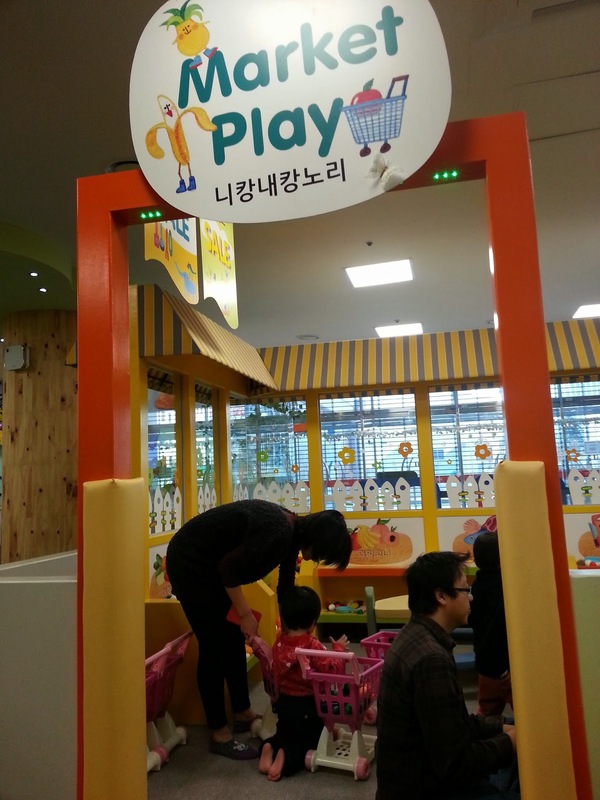 There is an hourly train that goes around a section of the indoor playground. Children run to board the train whenever they hear the horn. selling food at the "market". 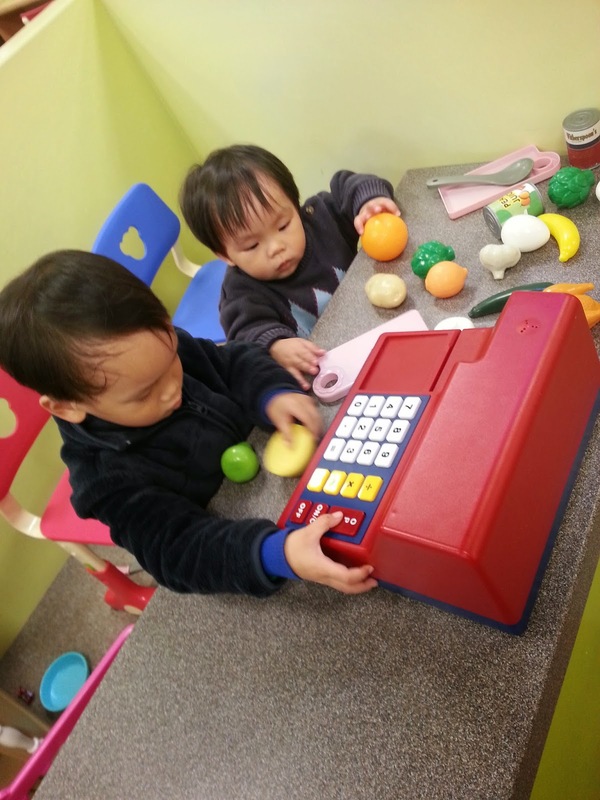 picking up an interest in food and in cooking. 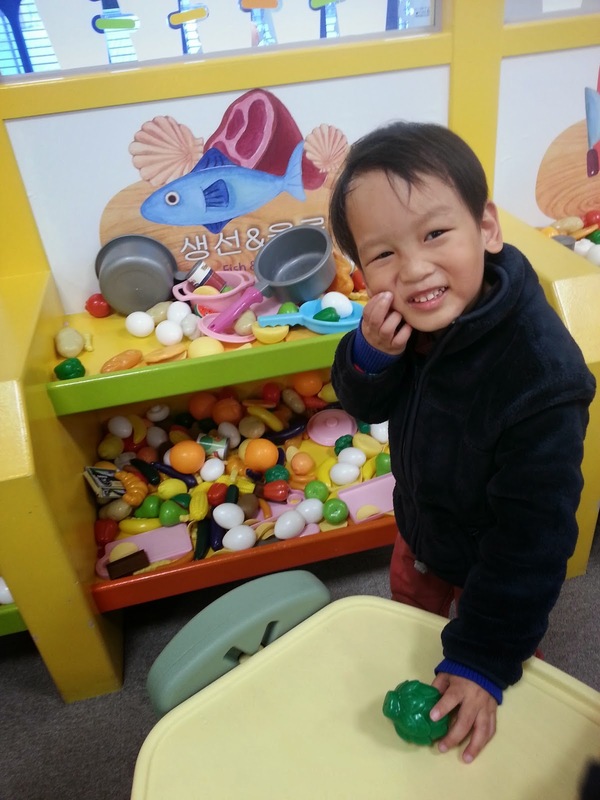 Next: The scenic Dalmaji Hill and frolicking with the seagulls at Haeundae Beach. Previously: The Lim family enjoy a photoshoot the Korean way.